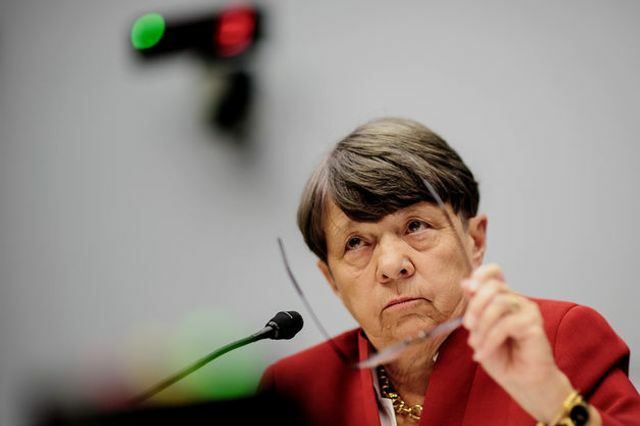 The Nasdaq outage last summer prompted U.S. Securities and Exchange Commission Chairman Mary Jo White (pictured below) to demand market operators make their technology more resilient. Following malfunctions that froze U.S. stock and options markets in the last year, the systems that serve as the backbone for trading are getting closer to an upgrade, according to two people with direct knowledge of the matter. IntercontinentalExchange Group Inc. (ICE)’s SIAC unit, Deutsche Boerse AG’s International Securities Exchange and Miami International Holdings Inc.’s MIAX Options were picked as the three final candidates to run the options industry’s main price feed OPRA, and make it faster, less costly and more reliable. Little-known before last year, disruptions in these data disseminators are capable of bringing the world’s largest securities market to a halt. The Nasdaq (CCMP) OMX Group Inc. system broke down Aug. 22, preventing trading in thousands of companies including Apple Inc. and Google Inc. for three hours. OPRA, formally known as the Options Price Reporting Authority, also malfunctioned last year, disrupting U.S. options trading.